The Company is engaged in the development, manufacture, marketing, sale and distribution of brand and off-patent pharmaceutical products. The Fool has written over 300 articles on Allergan. Disappointing phase 3 drug results and a weaker-than-expected revenue outlook are weighing on these stocks. AGN earnings call for the period ending December 31, 2018. If you got trampled during a Black Friday sale and had to return home without wares, these three bargain stocks will make you feel better. Waiting in line not required. AGN earnings call for the period ending September 30, 2018. This healthcare company appears poised to turn a corner. If you like the Oracle's style, these stocks are for you. Shares swoon after the FDA gives the thumbs down to its lead compound. Here's what investors need to know. Mylan stepped up threats to Allergan's two largest revenue streams. Allergan's shares fell off a cliff last year. Can it rebound in 2018? Allergan Keeps Heading Lower. Is It Time to Buy? 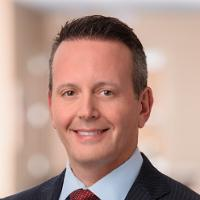 Allergan's stock slips for the third straight month in October. Allergan's stock fell in sympathy with Teva Pharmaceutical Industries in August, but it may now be a bargain as a result. Shares respond positively to the announcement of upbeat data from a phase 3 study. It's not every day you see a biotech go up by more than 700%. Shares more than double in response to the company accepting a buyout offer. Impax Laboratories is buying generic drugs from rivals Teva Pharmaceutical and Allergan plc. AGN earnings call for the period ending March 31, 2018. Industry, sector and description for Allergan.